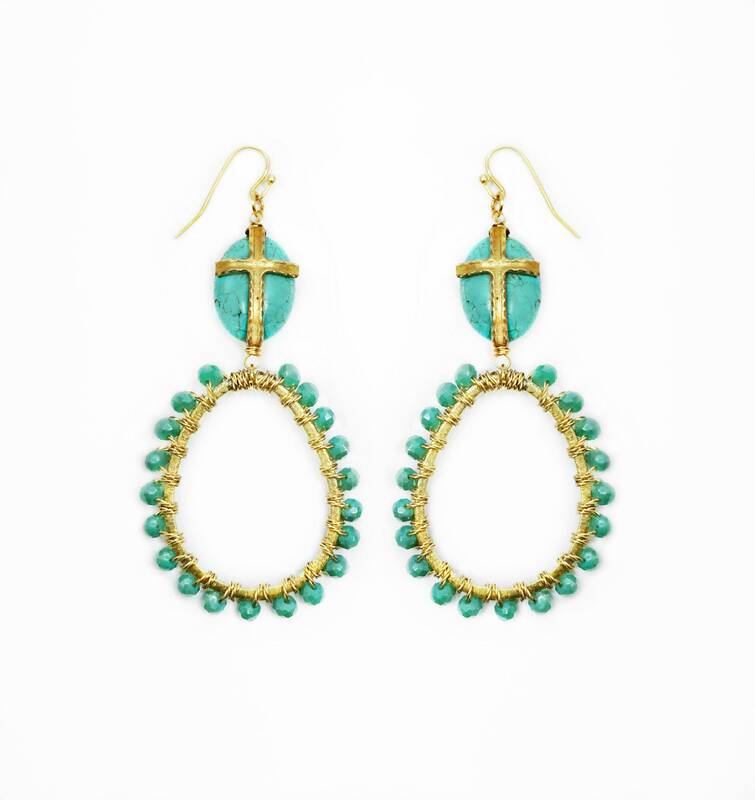 Turquoise and crystal wire wrapped earrings with a gold plated brass cross. These earrings are 3 inches in length and 1 1/2 inches in width. They are a great go to earring that can been worn in any season or occasion. 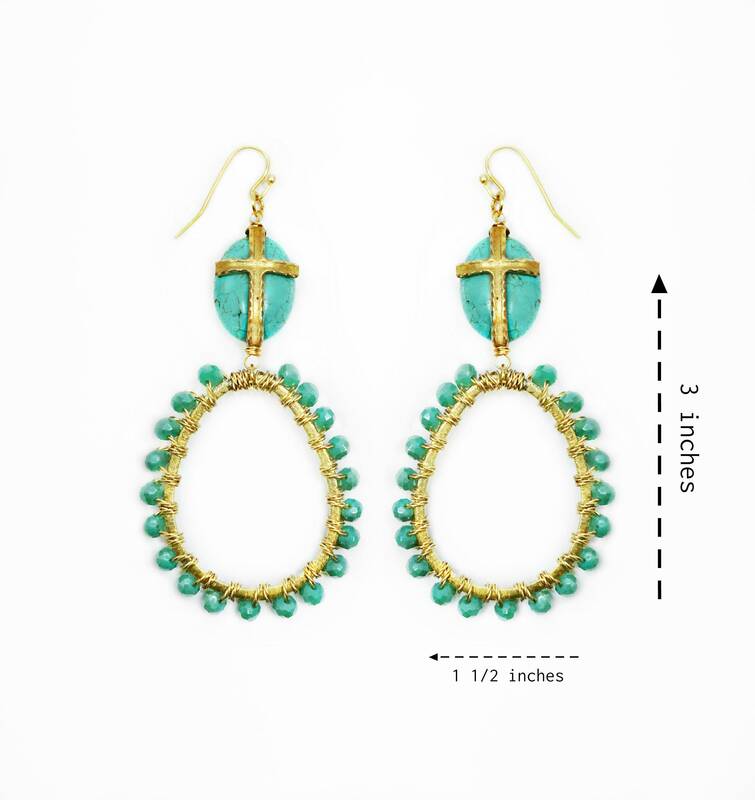 These light weight earrings are the perfect shade of turquoise that goes with most color schemes.